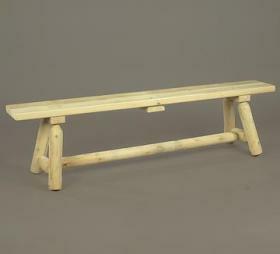 The 6’ bench comfortably seats two adults or three children. Solid cedar construction ensures years of carefree use. Cedar is also naturally resistant to decay, insect, and weather damage and, when left untreated, the creamy natural color weathers gracefully to a silvery grey.